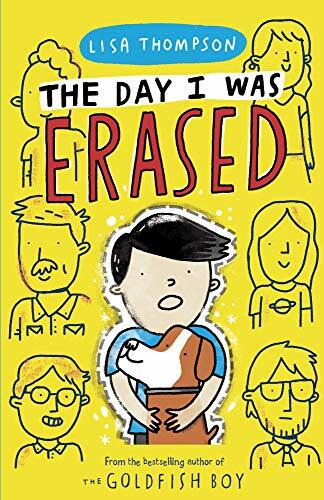 This new novel from the bestselling author of The Goldfish Boy and The Light Jar presents readers with a memorable central character, eleven-year-old Maxwell, with all his flaws and strengths brought vividly to life. At first, Maxwell comes across as a thoughtless, disruptive boy, constantly goading everyone around him, testing friends and family to the limit and behaving in a destructive and infuriating way. The reader soon realises, however, that his parent’s constant arguments and anger cause a lot of Maxwell’s challenging behaviour and that he does have a kind heart, having saved his beloved dog, Monster, from being run over and befriending his elderly neighbour, Reg, who has dementia. When Maxwell commits a truly terrible piece of trouble-making at school he runs away from the havoc he has caused to hide in Reg’s house. Here, he discovers a strange object in Reg’s cabinet, wishes he had never been born and suddenly finds himself erased from his own life. Initially, Maxwell enjoys the freedom of never having existed as nobody recognises him, but gradually the loneliness of having no one to share memories with overwhelms him and he determines to find a way to reverse his erasure with the help of his sister, Bex, and his best friend, Charlie. Maxwell’s feelings of loneliness and isolation are powerfully and movingly conveyed, and his situation gives him great empathy with Reg. Lisa Thompson combines warmth, humour and poignancy in this story of family, friendship and identity. Maxwell’s erasure causes him to evaluate his life and past behaviour and to truly learn lessons about the consequences of his actions and to work out what is important to him. As Maxwell gradually solves the mystery of what has happened to him the strength of his character comes to the fore and he is able to help others and persuade them to help him. This novel is written in a light, pacey style but the authors covers important themes including the effect of marriage breakdown on children, dementia, behavioural issues, isolation and the need to belong. This is an emotional, but also humorous, read with appealing characters and strong messages on the importance of family and friends and the need to kind and thoughtful and to take responsibility. Highly recommended for 8+ readers.